Making sense of Tantra. Buddha’s teachings inlcludes sutras and tantras. The sutras present the basic themes of practice for gaining liberation from recurring problems and to reach the enlightenment. They include methods for developing ethical self-discipline, concentration, love, compassion and an understanding of how things actually exist. The tantras present advanced practices based on the sutras. Tantra practices serve as a structure for intertwining the sutra themes to weave a tapestry of enlightenment. Moreover, tantra combines physical, verbal, and mental expressions creating a holistic path of development. 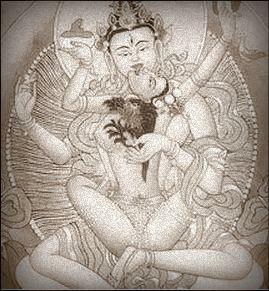 Because one cannot integrate and practice simultaneously all the sutra themes without previously training in each individually, tantra practice is extremely advanced. The root of the word tantra means to stretch or to continue without a break. Emphasizing this connotation, the Tibetan scholars translated the term as gyu (rgyud), which means an unbroken continuity. i am glad to have these books again without your kind efforts we won’t be able to reached to conclusion based on facts finding evidence that where our historical roots lead us to ascertain our historical and social status of our nation thank you once again. A clear and concise explanation of tantra and sutra.